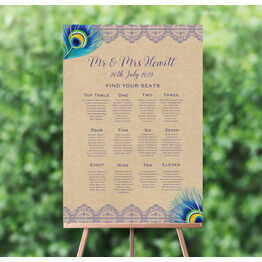 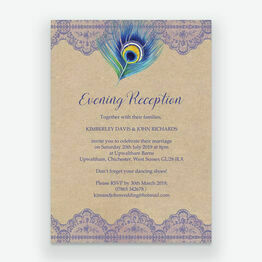 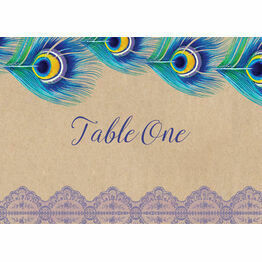 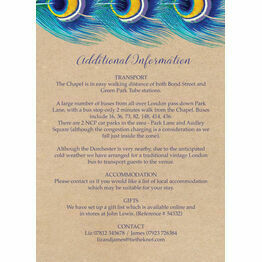 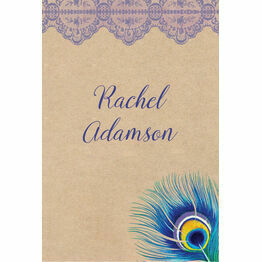 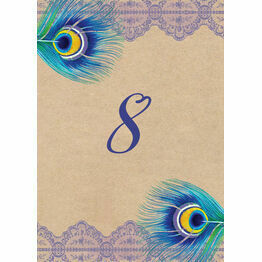 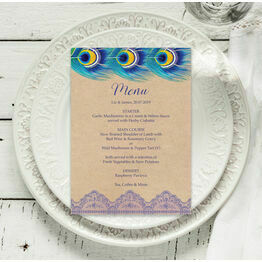 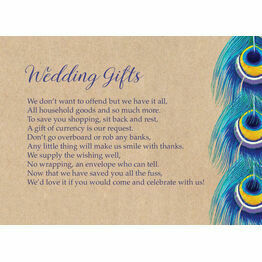 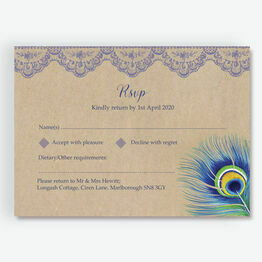 Full of symbolic significance, you can imprint any meaning you like on our striking Rustic Peacock Wedding Stationery. 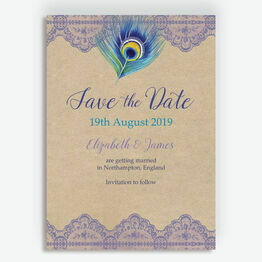 From favours to invites, make sure your eye-catching peacock theme runs all the way through your wedding overall wedding design. 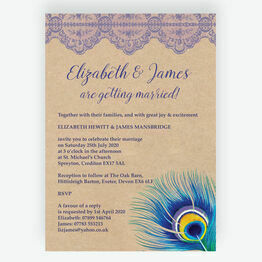 Once you've chosen what you want, select a printing option to suit your individual requirements.